The Cylons were created by man. They evolved. They rebelled. There are many copies. And they have a plan! 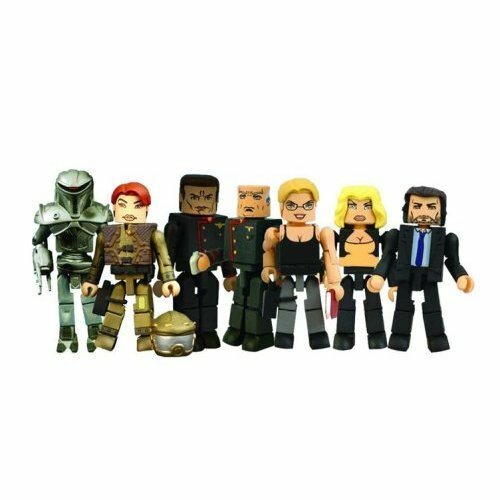 The Battlestar Galactica Modern Minimates were also created by man, and like the show there are many tiny copies. We particularly like the attention to side characters like Doc Cottle, and the variants like the pinstripe suit and test tube tray Gaius Baltars.